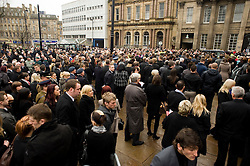 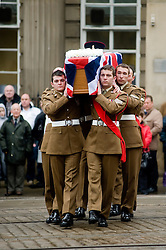 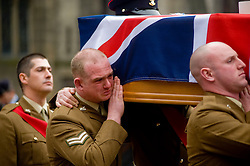 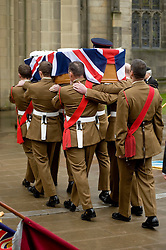 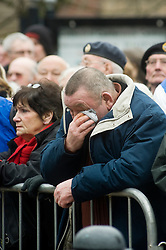 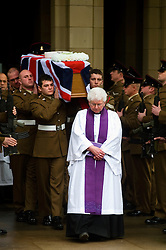 Yorkshire Regiment Corporal Liam Rileys funeral, Sheffield Cathedral Wednesday 24 February. 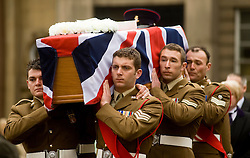 Corporal Riley of 3rd Battalion Yorkshire Regiment who died in an explosion in Afghanistan on 1 February 2010 while on foot patrol south of the Kings Hill check point Helmand. 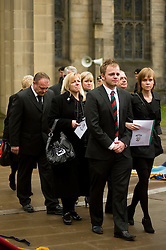 ..Upon hearing of Liam's death he was described by Price Harry as "a legend"